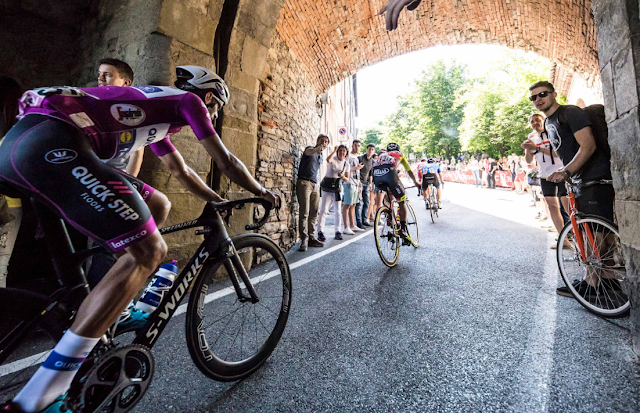 I have been enjoying Beardy McBeard's daily photo report on the Giro D'Italia. Stage 15 ended in Bergamo on the cobbles/marble flagstones. Tomorrow, they rest, and on Wednesday, they will climb the Stelvio Pass. Will they beat MOB's and my times from 2015 Giro delle Dolomiti? Can they do it in 50% of the time? 40%? Well, on today's 199 km flattish stage, the average speed was 46.5 kph. Wow. And with 7 riders within 5 minutes of the lead, entering the last stretch of the race, Wednesday should be an interesting day. 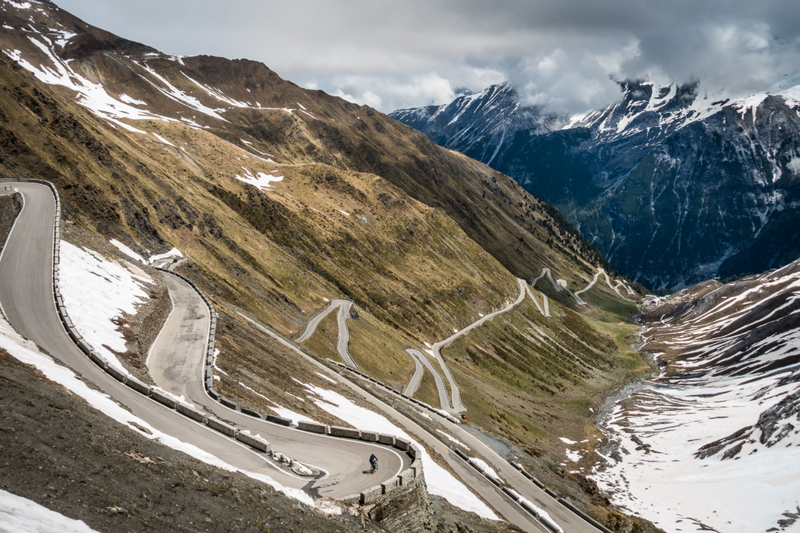 Beardy's rest day ride over the Stelvio last year offers some really beautiful photos, here. And Tuesday he will do it again. I recommend subscribing for his daily update photos. This year's rest day photos are here.